I know it’s all about the getting into the Christmas spirit right now in blogland, but this vintage loving girl couldn’t but help herself in creating some non Christmas images for you to enjoy. Since I was in the mood for something extremely girly (but then again, when am I not, in that kind of mood! ), I started browsing through my image library and came to a halt when my eye caught those plump late spring roses! Because really .. nothing screams girly girl like gorgeous vintage roses, am I right? Next came the decision of what to make.. This is always hard for me since I am always second guessing myself .. so with saying that.. I would really appreciate some suggestions :) That always takes some pressure off my shoulders. But as I was saying.. what to make, what to make? Ah! Etsy Banners! A perfect choice since I haven’t created them in a while! And.. since I am totally wild about washi tape, I knew Sahiln Studio’s digital washi tapes would be perfect for these pretties! I also didn’t want to create just one image, so designing them in different colors solved that problem! 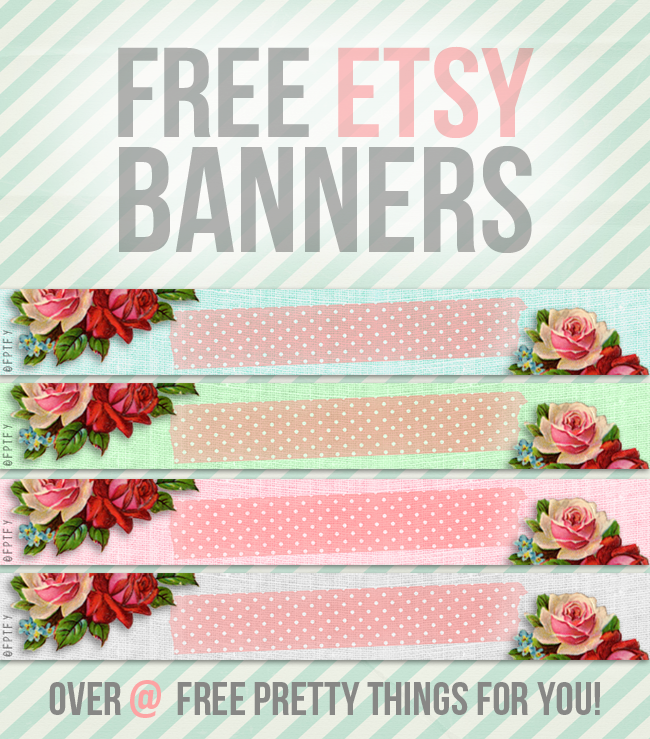 Now you can have a brand new pretty etsy banner without having to wait for someone to design one for you :) To add your business name text, you could hop on over to picmonkey.com and add it in a cinch! To Download just click on the banner you like best and save! Hope you are all having a blessed weekend! You are SOOOOOOOOOOOOOOOOOOOOOOOOOOO on a creative roll my friend!!!! These are girl and delicious!!!! I know I am going to be seeing these ALL OVER ETSY land!!! Love these and it is so generous of you! Washi Tape and Roses…how can one go wrong! ; ) hugs and love to you all! always so encouraging my dear!! THANK YOU!! Remember Rosie the Riveter? I would love images of “manly” girly girls doing “manly” tasks, like carpentry, mechanic, painting, etc. I have been a single parent in the truest form. I raised an adopted son and a daughter by myself when their dad was deported (shock and heartbreak!). We were never married, so there was nothing I could do. When he died, there were not any benefits the kids were eligible for. I always apologetically said to my kids, “I have to be both the mom and the dad”. My family had nothing to do with us, and my friends were limited. Government assistance only went so far. I had to be the manly dad and the girly mom to set both examples for my children. I had to learn to do maintenance on the home I bought and the vehicles I drove. Our church was dumbfounded by what beautiful, well-behaved, well-mannered Christians my children were. My children now say to their children, “she (me) is both the gramma and the grampa”, not apologetically, but as in “She is a superhero”. These are simply lovely Keren. Thanks so much for your generosity. I don’t have an etsy shop, but know I can find a use for these lovelies. Perfect!!!!! And so beautiful combination!!! Love these!! 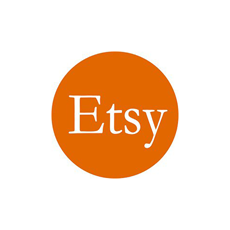 I’m scrambling to open my Etsy store & stumbled upon your site….beautiful!